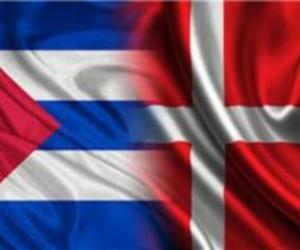 The Swine Research Institute (IIP by its Spanish acronym) and the Danish company DanAvl develop a project for the future creation of a joint venture, which will enable Cuba to achieve higher yields in pork production. Hector Hermida, IIP deputy director, told ACN that it will also enable the delivery of more meat and its derivatives to the domestic market. During the 7th International Seminar on Tropical Poultry, which started last Monday at Meliá Habana Hotel, the specialist said that Denmark will provide technology, one of the best in the world, thus contributing to the animals to have high genetic potential. Meanwhile, Jan Nicolaysen, DanAvl representative in Cuba, noted that the main objective of this collaboration is the construction and establishment of a farm for the production of F1 hybrid crosses (between Yorkshire and Landrace breeds). This means that by 2019 the unit must provide approximately eight thousand animals of that type for the national market, he stated.